Sudbury has performed much better than most town centres in recent years. Much of this is because of free car parking for up to three hours. There has been a serious threat that the local council would start charging for short stay parking. 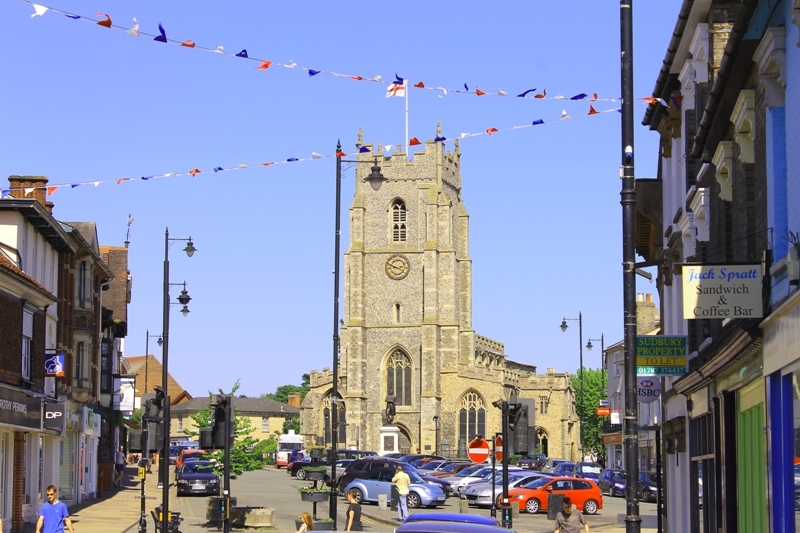 The Chamber of Commerce formed a group with the town councils of Sudbury and Hadleigh to retain free parking. The group was prepared to form a trust to take over the running of the car parks. The Sudbury and Hadleigh Car Parking Group has had a very productive meeting with Babergh District Council Officers. Significant progress has been made over the past year to consider more effective management of the car parks in Sudbury and Hadleigh. Whilst all stakeholders recognise the pressures we all face in the current financial climate, there was agreement that we should be considering the wider issues of ensuring the future health and vitality of our market towns and car parking is just one aspect of this and should not be considered in isolation. In the first instance, Babergh District will continue to manage the car parks in Sudbury and Hadleigh and undertake a comprehensive review of the current management and operation of the car parks to simplify and modernise the current systems and procedures, with the assistance of the key stakeholders, without any changes to the current charging structure. This will include consideration of residential car parking issues. Collectively, we need to consider the strategic outcomes we want to achieve for our market towns, what the priorities are and then how we support and deliver these to ensure their future health and vitality. Part of this wider discussion will need to include the subsidy that is currently provided to support free short term parking and where this sits against other competing priorities. This entry was posted in Uncategorized and tagged Car parking charges, free car parks, free parking, high street, high street decline, shop closures, shops closing, town centres. Bookmark the permalink. If they started charging for parking I wouldn’t go into town anywhere near as much as I do now and I doubt I would be the only one so the town would lose money trying to make it. Wish the government would realise we haven’t all got money to just throw around.